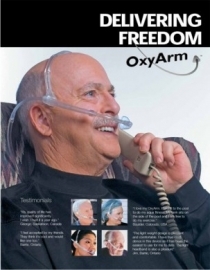 Oxyarm PLUS Headset with Headband, Diffuser Arm, 7" Tubing. The PLUS range of Oxyarm is fitted with 3 additional foam pads fitted to the headset to ensure extra patient comfort. 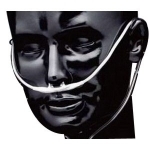 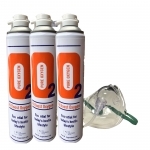 Oxyarm is an excellent alternative to conventional Masks and Nasal Cannuale. 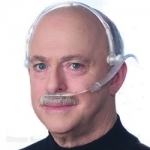 It is designed for both nose and mouth breathers and adapts to both left and right side.